Hurry! Get FREE items at Hannaford!!! 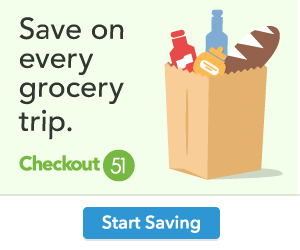 Download the Hannaford app now to get a $5.00 off $5.00 coupon and up to 10 free products. Hurry! This offer is only available to the first 400 people who download the app and sign up/sign in. Nice! FREE Hormel Rev Wraps at Shaw’s 10/14 – 10/20!!! Nice! FREE Kraft String Cheese 3 Pack at Walmart with Printable!!! Print this coupon now to get your FREE Kraft string cheese at Walmart 😀 I got 6 packages for free today! Wow! $0.13 Moneymaker on Frigo String Cheese Singles at Walmart! PRINT NOW!!! Hurry and print this Frigo Cheese Heads Coupon (no size restrictions)! Use this coupon at Walmart to get FREE string cheese singles + $0.13 moneymaker!!! Be sure to add extra items to your cart to absorb you overage. Visit AlfredAngelo.com for all the details of this AMAZING offer!! !